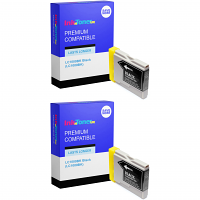 Brother DCP-770cw Printer Every time you obligate acquisition of your NEW Brother DCP-770cw ink cartridges, there's no one better to turn to than right here at InkNTonerUK! 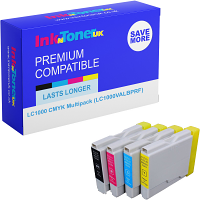 - We sell the essential ink cartridges you need for your Brother DCP-770cw printer at costs which are in a sense 'easy-on-the-pocket', helping you to save more of your legal tender, to put towards more of the luxuries in life you desire! 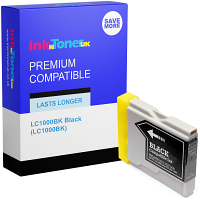 The Brother DCP-770cw ink cartridges bought at InkNTonerUK are the finest in quality attainable on the market, and contain an ink capacity to the fullest possible! 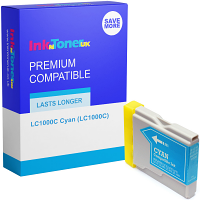 So, not only are the Brother DCP-770cw ink cartridges purchased from us of visibly cheap-costs, but they are generally longer-lasting so the necessity to purchase NEW ones is lessened! Get to it right away, opt your preference of purchase of the requisite Brother DCP-770cw ink cartridges NOW! With use of your NEW Brother DCP-770cw ink cartridges, before you will be appearing first-class prints of imagery and documentation time after time, with that swiftness of UP TOO; 22 PPM (Prints per minute) in Mono (Black), and 20 PPM in Colour you NEED for an ease of printing in larger quantities at a time The DCP-770cw printer will do this on an assortment of diverse media types, in the main being; Plain paper, recycled paper, transparencies and MORE! The Brother DCP-770cw printer is an admirable multifunctional printing appliance, with invariable consistency, first-rate quality and understandable functions Its convenient proportions of; 39.8 x 37.0 x 15.0 cm (W x D x H) weighing at just; 7.3kg make it a product that is fluently held, situated and repositioned as and when necessary, an ideal printer for your desk at work and/or at home! - Generally you'll be getting MORE usage from your DCP-770cw printer as you NOW have ability to acquire MORE of the Brother DCP-770cw ink cartridges you require, as and when essential! The InkNTonerUK team suggest that you 'Bookmark' this page after purchase, as this will give a straightforward means of being directed right here each time you oblige the acquirement of your NEW Brother DCP-770cw ink cartridges!